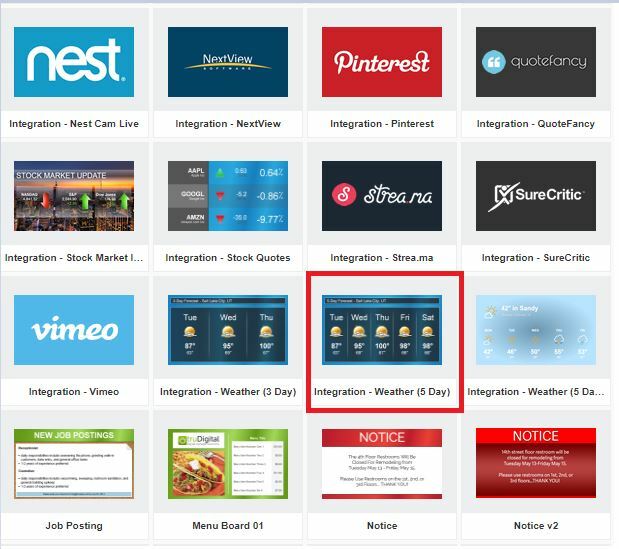 Step 1: Select the 5-day Weather Integration from your template library and click “Install”. 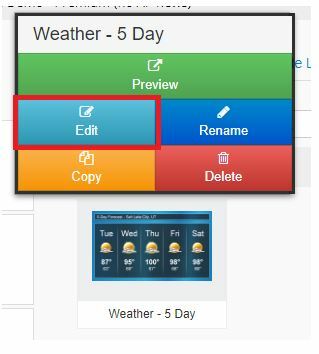 Step 2: Once in the “My Templates” area, select the Weather Integration and click “Edit”. 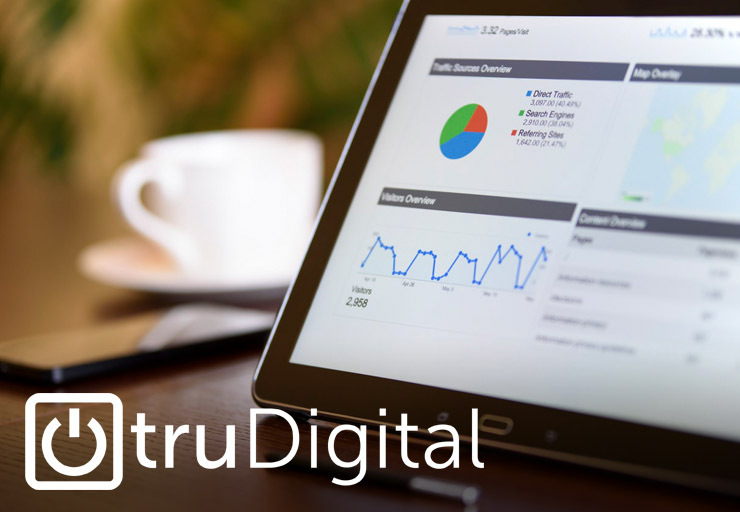 Step 3: Click the “Edit Template” button towards the top of the screen. Step 4: Click the “Zip Code” bar towards the top of the screen. 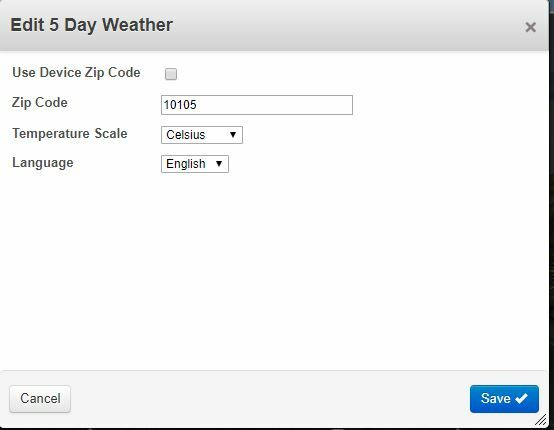 Step 5: Enter in your Zip Code into the text block, choose Temperature Scale, and Language. After settings are complete choose “Save”. 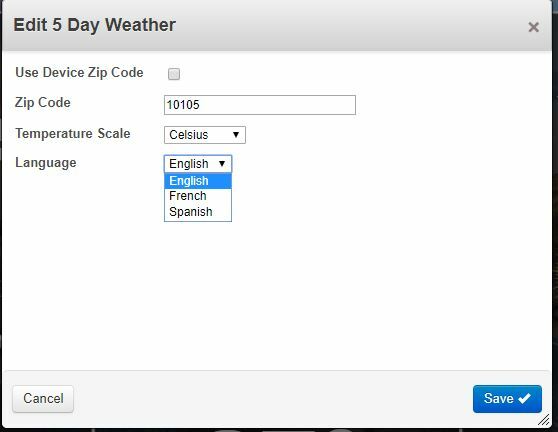 Step 6: Added Feature – You can now choose English, French, or Spanish. 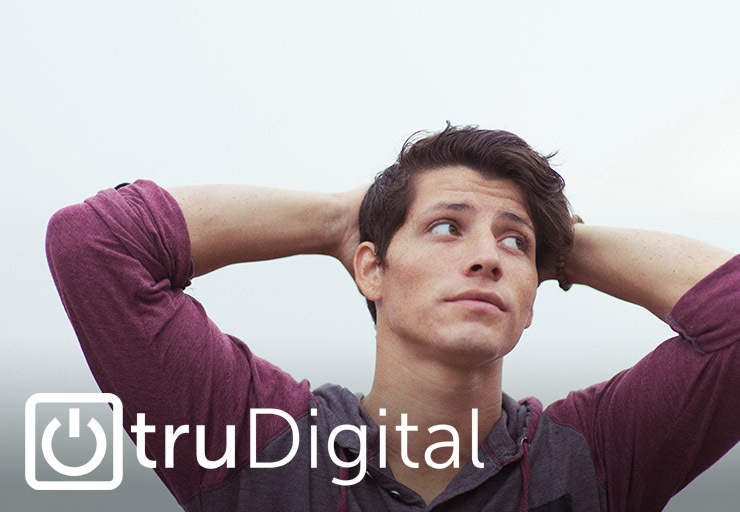 Step 7: Click on the block below to edit Background, Typography Etc. 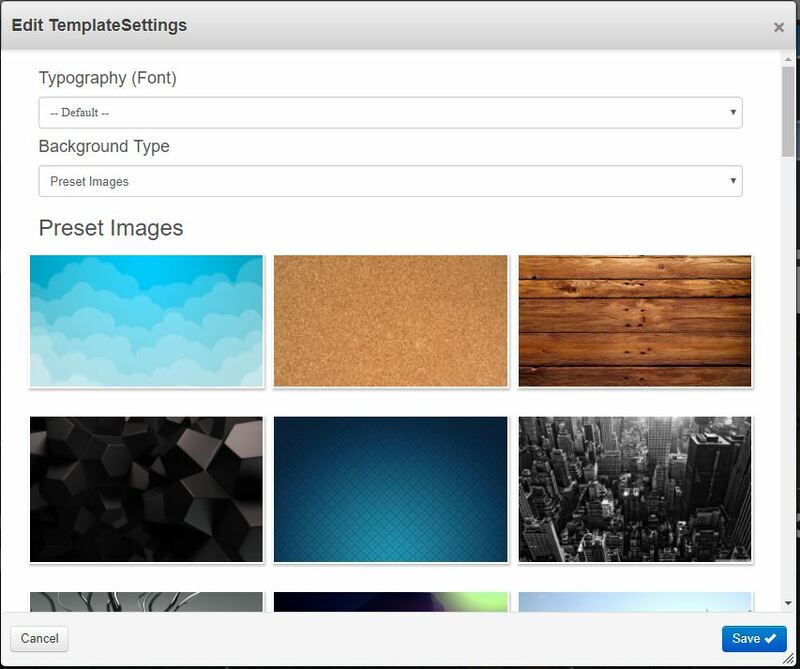 Step 8: Choose Font, Background Type, and Image. Once finished Choose “Save”. 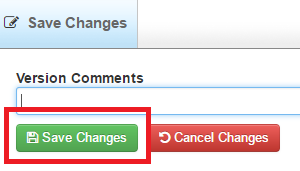 Step 9: Click “Save Changes”. Step 10: Preview the template a final time. Step 11: Then click “Back”, include the template in your playlist, and enjoy your 5-Day weather Integration!